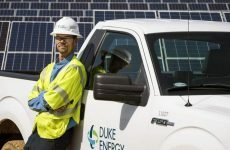 If you don’t have time to read this feature, with PACE financing, property owners make energy- and water-saving and renewable energy improvements and pay for them over time via an additional line item on their property tax bills. PACE helps owners save money on their utility bills by improving access to clean-energy technologies, and PACE supports local economic growth in part by creating jobs that cannot be offshored or automated. Greenhouse gas emissions abatement also helps communities meet carbon-reduction goals. There have been zero foreclosures initiated by PACE providers, and the California loan loss reserve – a state pool set up for the PACE industry – has never been tapped. Renovate America’s PACE offering, the HERO Program, has a 98.7 percent on-time repayment rate, and the bank-initiated foreclosure rate on HERO homes is slightly below the California state average. • Eligibility Requirements: Homeowners must be current on their property taxes and all mortgage debt, and must have at least 10 percent equity in their homes in order to qualify for PACE financing. The combined amount of any annual property taxes and assessments cannot exceed 5 percent of the property’s fair market value (FMV) at the time the PACE financing is approved. Finally, the total mortgage debt on the property plus the PACE financing must not exceed the property’s FMV. • Live Confirmation of Term Calls: Providers must confirm terms of financing by telephone in a live, recorded call before documents are signed for new contractors, as well as for contractors who have some record of complaints, and for homeowners over age 64. HERO goes well beyond this, with live, recorded Confirm Terms calls for 100% of projects. • Senior Care: Each PACE provider must have protocols to help ensure that all homeowners aged 64 or older understand finance terms and project specifications. • Payment Only Upon Completion: Homeowners must sign off that the work has been done to their satisfaction before contractors keep the funding. • Verified Contractors: All contractors who make PACE-financed improvements must have an active license and be in good standing with relevant state licensing boards – as well as maintain insurance and an ability to meet bonding requirements. Contractors are also required to complete training courses and follow a code of conduct. • Only Efficient Products: All improvements financed by PACE must be affixed to the home and rated as efficient by the Department of Energy, the Environmental Protection Agency, or a stringent third-party standard. • Price Reviews: For each eligible product, PACE providers establish a maximum finance amount – a price level above which the PACE provider won’t finance the project. • Post-Funding Homeowner Support: When there are homeowner complaints, PACE providers must track and investigate them, and proactively work with contractors to resolve them. The support HERO offers does not exist at this level for any other form of consumer lending, with staff making site visits to homes when needed, and completing extensive, in-depth casework to help reach resolution between homeowners and contractors. • Selling and refinancing support: When homeowners with PACE assessments sell or refinance, PACE providers are expected to provide support to the real estate industry professionals handling the transactions. 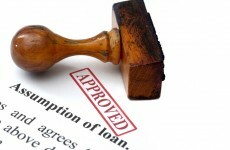 The key here is incorporating some of the more stringent best practices that are now part of the mortgage closing process. Renovate America worked with California legislators on a law that mandated specific data points be in written disclosures for all PACE providers in the state, and its HERO Program rolled out the latest disclosures nationwide shortly after Gov. Jerry Brown signed the measure into law in September 2016. The law took effect in California on January 1, 2017. The disclosure forms provide an easy way for consumers to see the total principal, interest, and fees they will pay over the life of their PACE assessments. 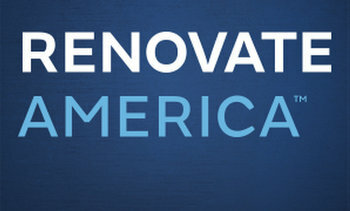 The new system at Renovate America aims to detect patterns and mitigate egregious instances in contractor business practices that violate program standards or laws. Such cases will be investigated by the company’s compliance team, which has 250 years of combined prior law enforcement experience and was commended by the FBI for helping put a fraudulent telemarketer in prison in 2015. The contractors are subject to due process, which facilitates a fair and transparent approach to resolving homeowner complaints. As part of due process, contractors may be required to complete re-training and they can be suspended and/or permanently removed from the program. Where appropriate, matters may be escalated to state or law enforcement authorities.